Metabolic and Systemic Diseases. Renal osteodystrophy, hyperparathyroidism, and acromegaly represent some of the metabolic and endocrine disturbances that the skull responds to. However, the importance of radiographic findings has decreased with the routine laboratory determination of certain diseases. The skull characteristically demonstrates mottling of the vault, manifesting a "salt and pepper" appearance. Occasionally, cystlike lesions, or brown tumors, may occur. The findings in renal osteodystrophy are identical to those of primary hyperparathyroidism. Findings in acromegaly include thickening of the calvarium and expansion of the supraorbital ridge and frontal sinus, but the clinical manifestations and hormonal assay are more sensitive and objective determinations of disease severity. Neoplasms and Destructive Lesions. Skull radiography remains valuable in the evaluation of the destructive lesions and metabolic abnormalities. By far the most common neoplastic involvement of the skull is secondary to metastasis or invasion from adjacent neoplasm. Metastatic carcinoma, multiple myeloma, and lymphoma usually present as lucent or lytic lesions and represent the most common malignancies affecting the calvarium. Breast carcinoma commonly manifests as large and variable-sized lucencies. In males, prostate carcinoma is the most common cause of osteoblastic metastasis. There is little to differentiate osteomyelitis from neoplasm radiographically but, fortunately, osteomyelitis of the calvarium is rare in North America and many other parts of the world. Structural and Developmental Abnormalities. Several acquired abnormalities can be demonstrated by plain films. Fibrous dysplasia classically features sclerosis, lucency, and thinning and bulging of the inner table. This entity can be confused with Paget's disease but is encountered in a younger age group and often ceases to grow at about the third decade of life. The classic calvarial presentation of eosinophilic granuloma is that of a sharply circumscribed lucency involving the diploe and inner and outer tables, similar in appearance to that of a destructive lesion. Indeed, the differential considerations are metastatic neoplasm, infection, and recent surgical repair. Hemangiomas of the calvarium usually have a diagnostic appearance on plain film. They are typically discrete, predominantly lucent areas with a reticular or "spoke wheel" trabecular configuration, and a prominent diploic vascular channel is frequently identified entering the lesion. The initial or lytic phase of Paget's disease results in areas of sharply demarcated lucency termed osteoporosis circumscripta. Subsequent stages demonstrate enlarged, coarsened trabeculae, thickening of the cortex, and nonhomogeneous patchy densities referred to as a "cotton wool" appearance. Paget's disease can be confused with other entities, but the patient's age, blood chemistry, and involvement of other bones aid in the formulation of an appropriate differential diagnosis. compensatory, ipsilateral skull thickening are key findings in the Dyke-Davidoff syndrome of cerebral hemiatrophy secondary to intauterine and perinatal internal carotid artery infarction. Childhood anemias and sickle cell disease classically demonstrate generalized skull thickness or density. Decreased thickness and density can be seen in osteogenesis imperfecta. Defects in bone can occur with cranial myelomeningoceles, dermal sinuses, and epidermoids. Trauma. Skull radiography is generally not indicated for cranial trauma because many patients with a skull fracture have no neurological sequelae and many with severe intracranial abnormalities have no associated skull fractures. A patient with significant cranial injury or post-traumatic neurological symptoms should be evaluated by CT. There are two situations in which the skull fracture itself poses a clinical threat. The depressed fracture and fracture associated with a penetrating injury are of great concern. However, the symptoms associated with such injuries will invariably direct the clinician to use CT for evaluation. Plain films are valuable in demonstrating facial fractures, which often occur in recognizable patterns. Cortical disruption and displacement of osseous fragments represent direct signs of fracture. Indirect signs include paranasal sinus opacification or air-fluid levels, orbital emphysema, and soft tissue prominence. One side of the facial skeleton should always be compared with the other, and asymmetrical radiodensities should be regarded as suspicious findings. Spinal Fractures and Post-Traumatic Spinal Destabilization. Most unstable of all cervical spine injuries, the flexion teardrop fracture can be identified on the lateral view.y This fracture, characterized by anterior avulsion of a teardrop-shaped fragment by disruption of the anterior longitudinal ligament as well as fracture of the posterior elements and posterior displacement of the involved vertebrae, should be distinguished from the stable extension teardrop fracture. Although also demonstrating an anteriorly displaced fragment, this injury shows no subluxation and the spinolaminar and posterior vertebral lines are preserved. The lateral view can also effectively demonstrate unilateral or bilateral locked facets (unstable), dens fractures (type 2 unstable), the stable clay-shoveler (fracture of the C6/C7 spinous process), and simple wedge fractures. Symmetrical and bilateral fractures involving the anterior and posterior arches of C1 characterize the unstable Jefferson fracture, best demonstrated on the open-mouth odontoid view. Odontoid fractures, with emphasis being placed on transverse fracture through the base (type 2, unstable), can often be diagnosed on this view even though detail of an injury is often lacking. The anteroposterior view affords identification of fractures involving the bodies of C3 through C7 as well as abnormalities of the intervertebral disc spaces and uncovertebral joints. Familiarization with the radiological findings that indicate instability is imperative in evaluation of the trauma patient. [4 These findings include displacement of the vertebrae, disruption of the posterior vertebral body line, and widening of the apophyseal joints. Widening and elongation of the vertebral canal with evidence of increased interpedicular distance also indicates instability. The single presence of any of these findings represents enough radiological proof to assume instability. The same principles for determining the stability of a cervical spine injury apply to those of the thoracolumbar spine. The anteroposterior and lateral views compose the standard radiographic projections for evaluating traumatic thoracic spine injuries. For lumbar spine evaluation, anteroposterior, lateral (including a view of L5 through S1), and oblique views are traditionally obtained. By using the same general principles mentioned earlier, burst fractures, fracture/dislocations, and distraction fractures can be identified. The Chance, or "seat-belt" fracture, is an injury at the thoracolumbar junction that can be stable or unstable, depending on the extent and severity. Fracture/dislocations are notoriously unstable. Degenerative changes involving the synovial joints (atlantoaxial, costovertebral, apophyseal, and sacroiliac) produce osteoarthritis of these structures. The defining radiological features are identical to other synovial joints and include joint space narrowing, subchondral sclerosis and cyst formation, and osteophyte formation. The mid and lower cervical and lumbar spine frequently demonstrate apophyseal joint degenerative changes. Involvement of the apophyseal joints often discloses gas within the joint, termed the vacuum phenomenon. This is virtually pathognomonic for an advanced degenerative process. Oblique views can be valuable in demonstrating posterior osteophytes, which may encroach on the neural canal sac. Frequently, however, CT is required to demonstrate such findings. Degenerative disc disease is secondary to degenerative changes within the intervertebral disc and may also manifest the "vacuum phenomenon" in long-standing degenerated discs. Disc space narrowing and marginal osteophytosis of the adjacent vertebral bodies are also prominent features of this entity. Degenerative spondylolisthesis can be seen in patients with degenerative disc disease and apophyseal joint arthritis ( Fig 2.3-1). Abnormalities of the annulus fibrosis can promote anterior and anterolateral disc herniation leading to the formation of anterior and lateral osteophytes, a process termed spondylosis deformans. Indeed, the primary radiological feature of this entity is extensive osteophytosis and, unlike degenerative disc disease, the disc spaces are relatively well preserved. Diffuse idiopathic skeletal hyperostosis (DISH) demonstrates extensive osteophytosis without significant sclerosis or intervertebral disc space narrowing. Flowing ossification is characteristically seen along the anterior aspect of the vertebral bodies, stretching across the disc space. The findings are secondary to ossification involving the ligaments, entheses, and fibrous articulations. The radiological characteristics are best demonstrated on the lateral view. Figure 23-1 Cervical spondylosis/!, Lateral x-ray of cervical spine demonstrates chronic degenerative disc disease from C3-4 through C6-7 with varying degrees of disc space narrowing and associated endplate spur formation at ea<B, Right anterior oblique x-ray of cervical spine demonstrates multilevel neural canal stenosis from C3-4 through C6-7 secondary to chronic degenerative spur formation arising from the uncinate processes. coli, B, Proteus, and Pseudomonas being the most common. Bacterial spread is usually by the hematogenous route, being common in immunocompromised individuals and intravenous drug abusers, but it may also be iatrogenic, occurring after spinal surgery, lumbar puncture, and discography. The most common location is the lumbar region, and the lesion is detected on plain radiographs by loss of disc space stature along with rarefaction of the adjacent endplates. If untreated, significant vertebral body involvement here may lead to collapse of the vertebral body, resulting in wedge deformity, focal kyphosis, and scoliosis. The inflammatory process may extend beyond the confines of the vertebral body into the paraspinal soft tissues or posteriorly into the epidural space of the central canal with abscess formation and thecal sac compression. CT and MRI allow excellent visualization of the extent of these inflammatory processes, which cannot be adequately assessed with plain film radiography. The most common location for spinal tuberculosis is the lower thoracic and upper lumbar regions. The granulomatous process usually begins in the anterior third of the vertebral bodies and spreads along the spinal axis beneath the paraspinal ligaments. The intervertebral disc space in tuberculous spondylitis remains relatively intact for a longer period of time than in pyogenic infections. In untreated chronic cases of spinal tuberculosis, paraspinal, paravertebral, and psoas abscesses frequently occur. The psoas abscess may calcify. Neoplasms. By far the most common extradural malignancy of the spine is the metastatic lesion. Although breast and prostate cancer are known for their osteoblastic or sclerotic lesions, most metastases are osteolytic. Spine metastases can involve all vertebral levels but most commonly affect the lower thoracic and lumbar spine. The most common plain film finding is pedicle destruction, even though, in adults, the initial site of involvement is typically the vertebral body. Pathological compression fractures, multiple lytic vertebral body lesions, and paraspinous soft tissue masses are other common expressions of metastatic neoplasms. A discriminating eye can sometimes detect an indistinct posterior vertebral body margin, a clue to epidural metastatic disease. MRI, however, is a highly sensitive imaging study that can portray epidural and paraspinous soft tissue involvement as well as cord compression. Breast, lung, and prostate cancer are commonly associated with epidural spinal cord compression. Other common adult metastatic primary lesions include renal cell carcinoma, melanoma, lymphoma, multiple myeloma, and sarcoma. Arthritis is a general term which is commonly associated with a number of painful conditions affecting the joints and bones. 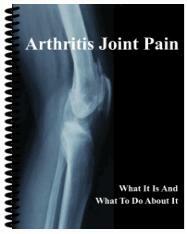 The term arthritis literally translates to joint inflammation. How the formation of lateral osteophytes relate to prostate cancer?